In October of last year, Toyota announced an ambitious plan to improve not only the safety of all Toyota vehicles, but also the safety of other vehicles out on the road and everyone driving on it. By launching its Toyota Safety Sense suite of active safety technologies, and then announcing that they would be offered in one version or another as standard equipment on the vast majority of new Toyota vehicles, the Japanese manufacturer has proven beyond doubt how important safety is to its vehicle development philosophy. There are two Toyota Safety Sense groups, the TSS-C and the TSS-P, and together they will be offered as standard equipment and therefore at no additional cost on models representing 90% of Toyota's sales. 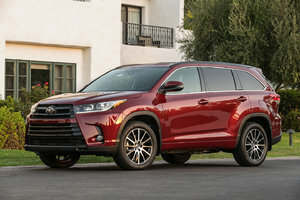 This means, in other words, that Toyota's best-selling models will be be equipped with the Toyota Safety Sense system starting with their respective base models. Let's take a look at the two versions of Toyota’s Safety Sense system. The Toyota Safety Sense C (TSS-C) system offers three driver assistance technologies: Pre-Collision System, Lane Departure Alert, and Automatic High Beams. These technologies are standard on the Toyota Yaris hatchback, the Toyota Prius C and the Toyota Corolla iM. Thanks to a camera and a laser, the TSS-C system is able to detect a potential accident and warn the driver of the danger. 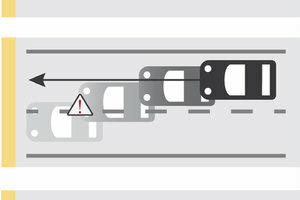 If the driver does not react, the system can apply the brakes automatically. It can also warn the driver if the car is deviating from its lane and can also turn on the low-beam headlights automatically when another vehicle is detected. Dynamic Cruise Control System (DSC) keeps a predetermined distance with the vehicle ahead when cruise control is activated while the Lane Departure Warning System can automatically correct the vehicle’s path if you are departing your lane and not reacting. As for the Pre-Collision system with pedestrian detection, it is able to brake the vehicle for you if another vehicle, or even a pedestrian suddenly pass in front of your car or sport utility vehicle. For 2017, this system is standard on the Toyota Corolla, Toyota Prius, Toyota Prius Prime, Toyota RAV4 and RAV4 Hybrid, and the Toyota Highlander and Highlander Hybrid. 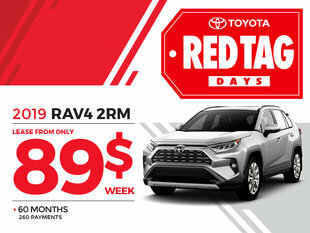 To learn more about Toyota Safety Sense systems, contact us today at Vimont Toyota in Laval!